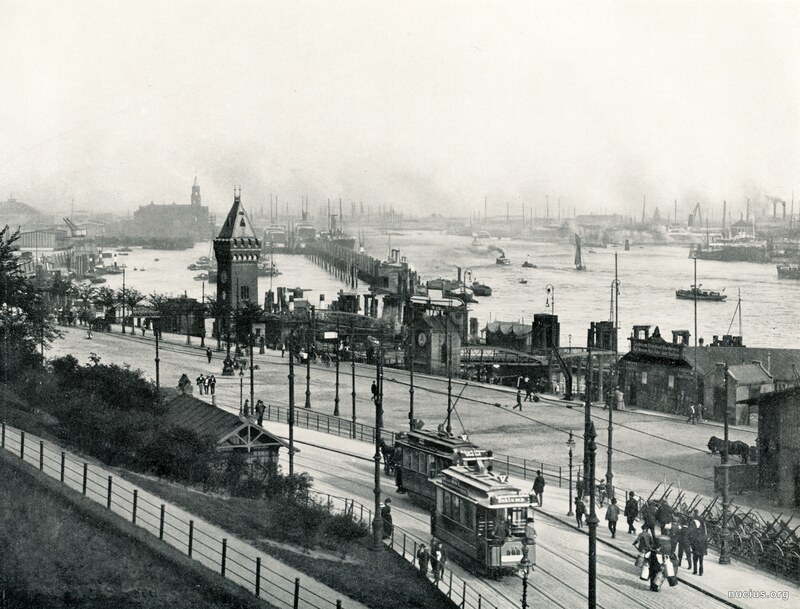 Album of Hamburg (1906/1908) – Nucius! 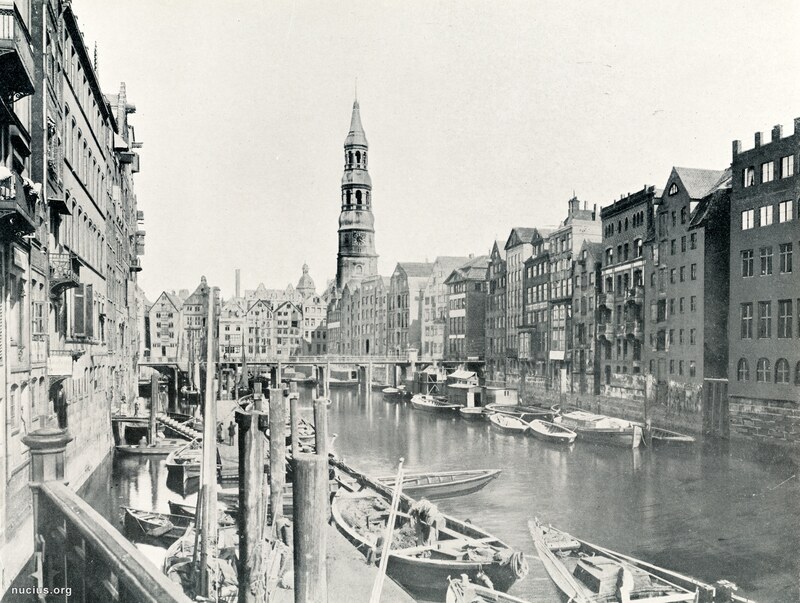 The “Album of Hamburg” (original title: “Album von Hamburg”) is a simple illustrated book of large format, which was sold around 1910 as a souvenir. 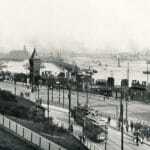 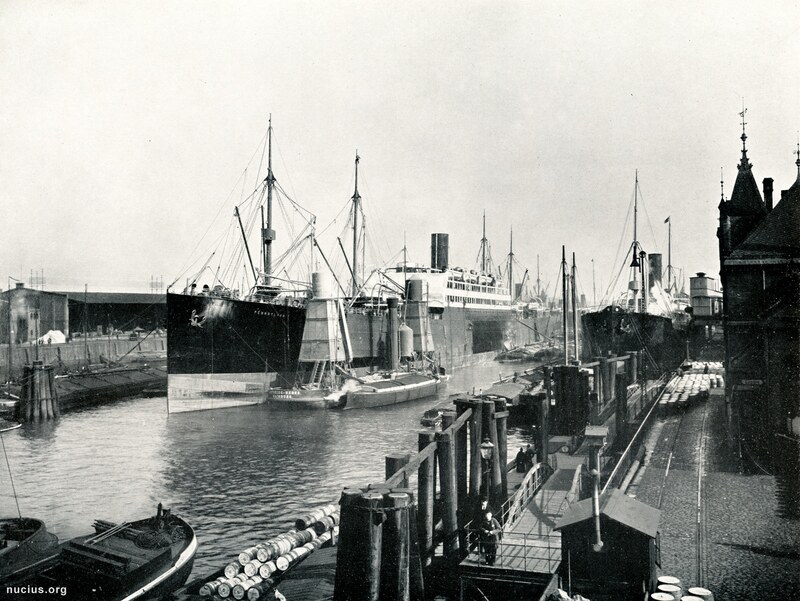 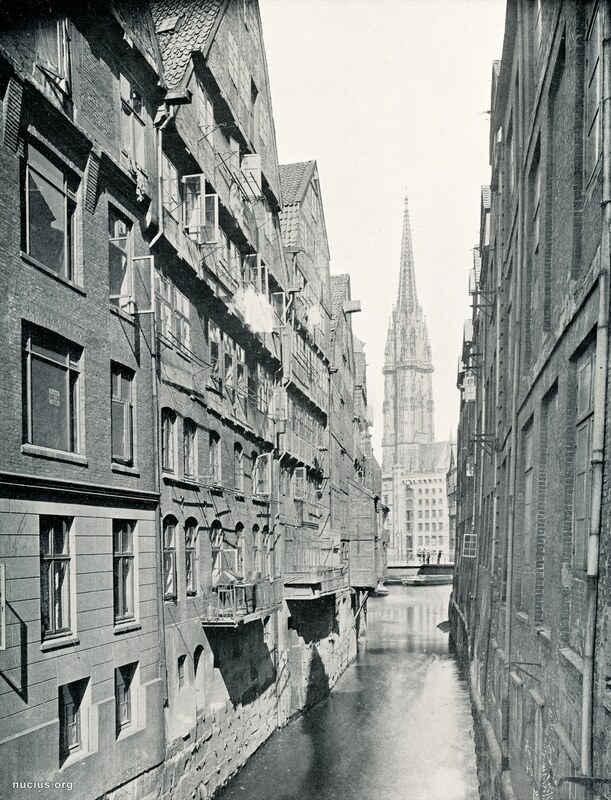 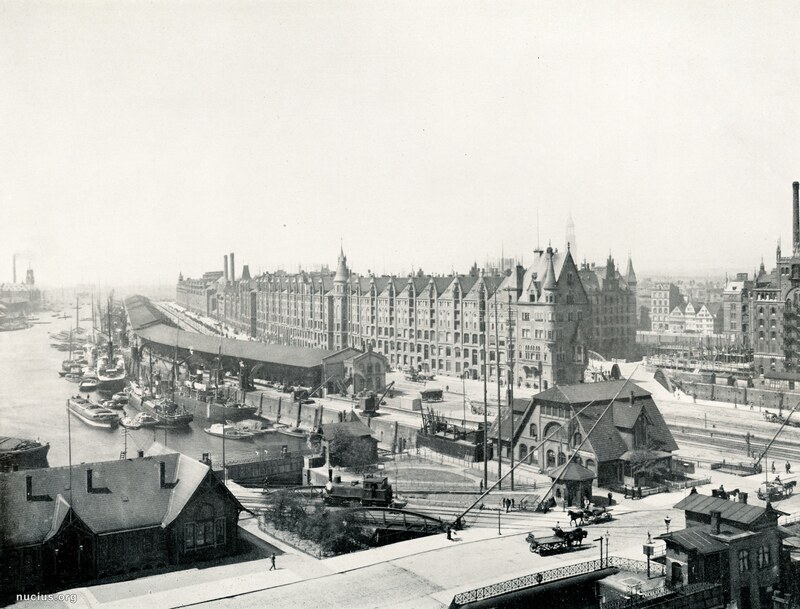 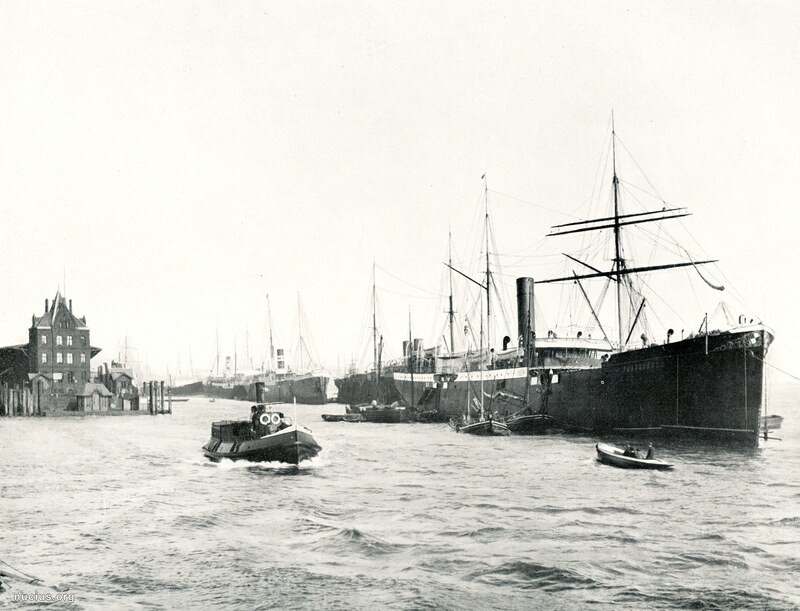 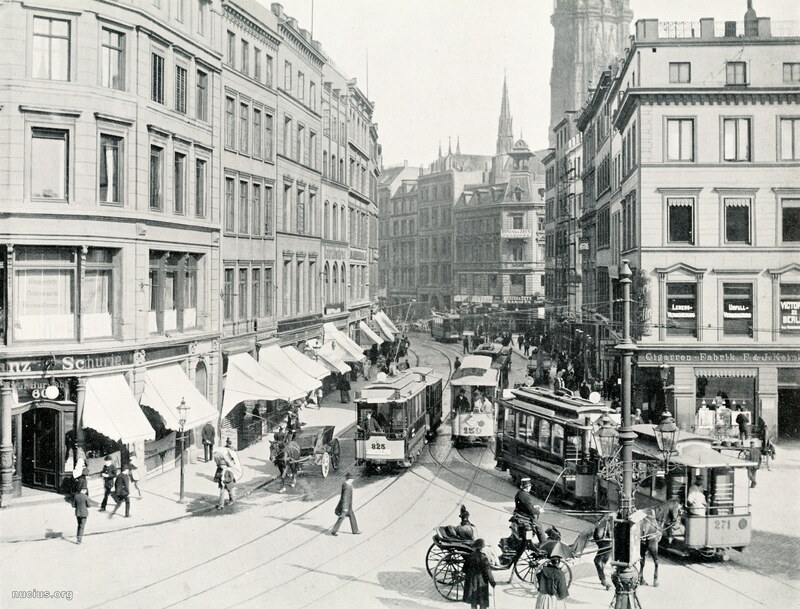 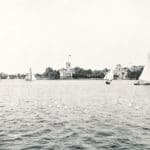 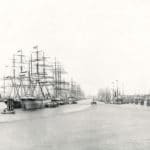 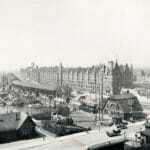 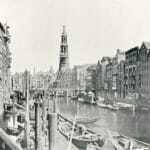 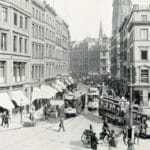 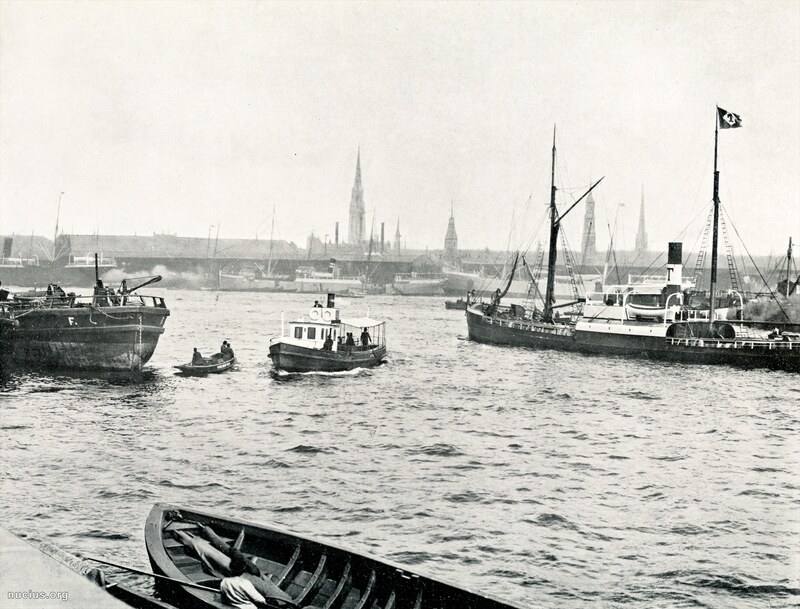 On a total of 31 photographs (see below) it shows the city center of Hamburg, the port facilities and some motifs from the immediate vicinity of the city before the First World War (and therefore also before the destructions of the Second World War). 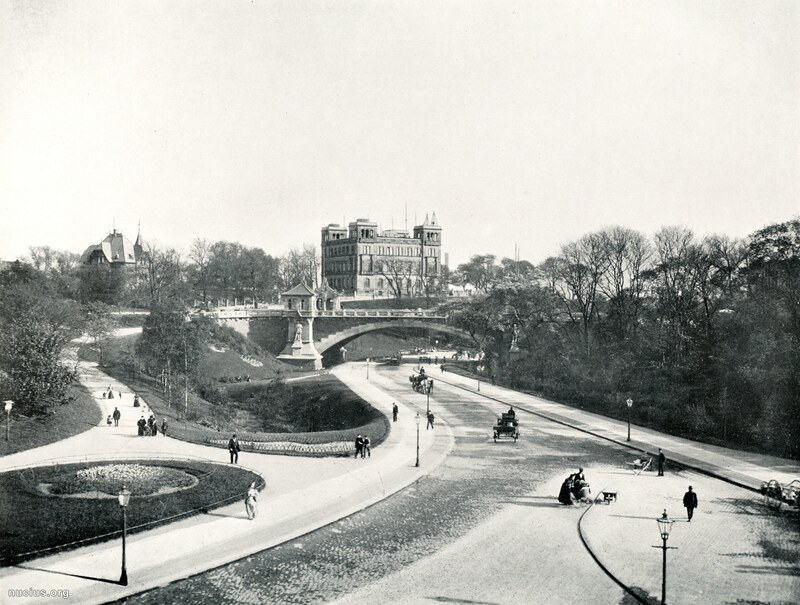 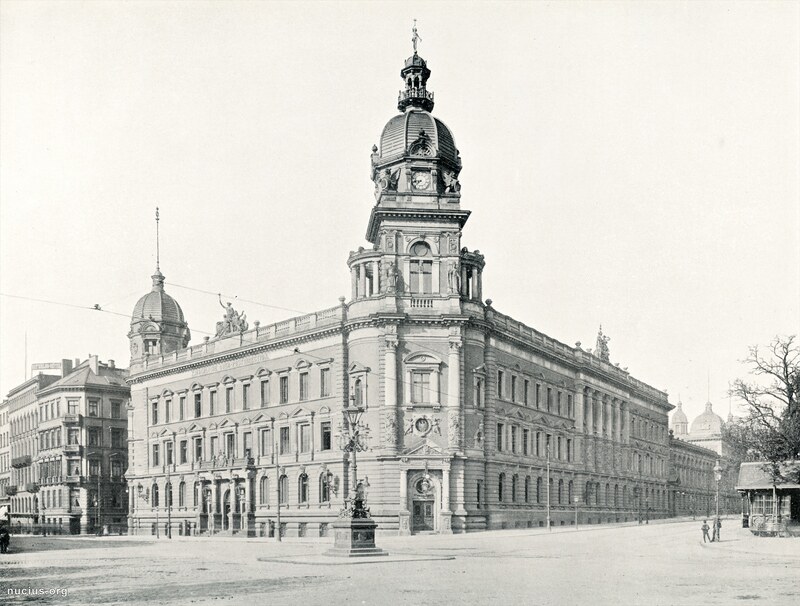 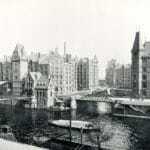 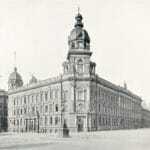 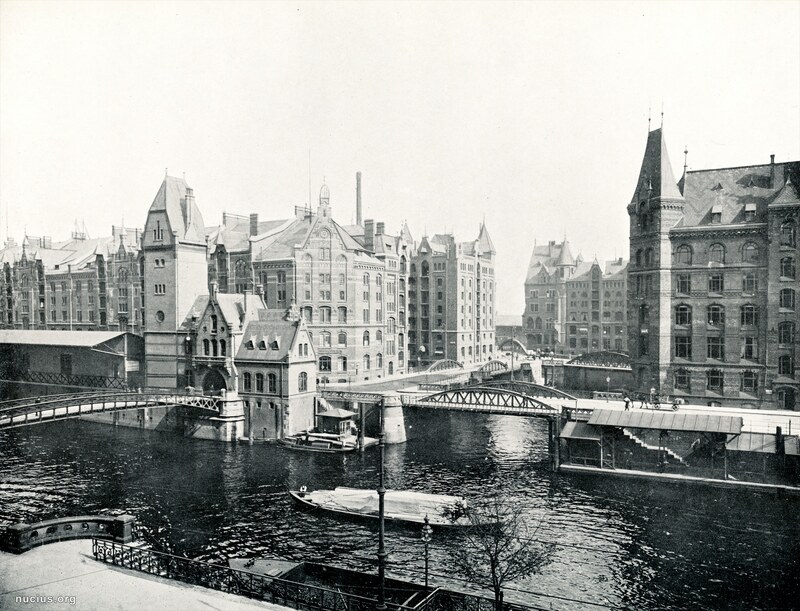 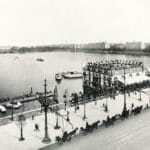 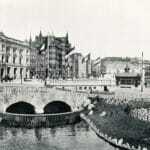 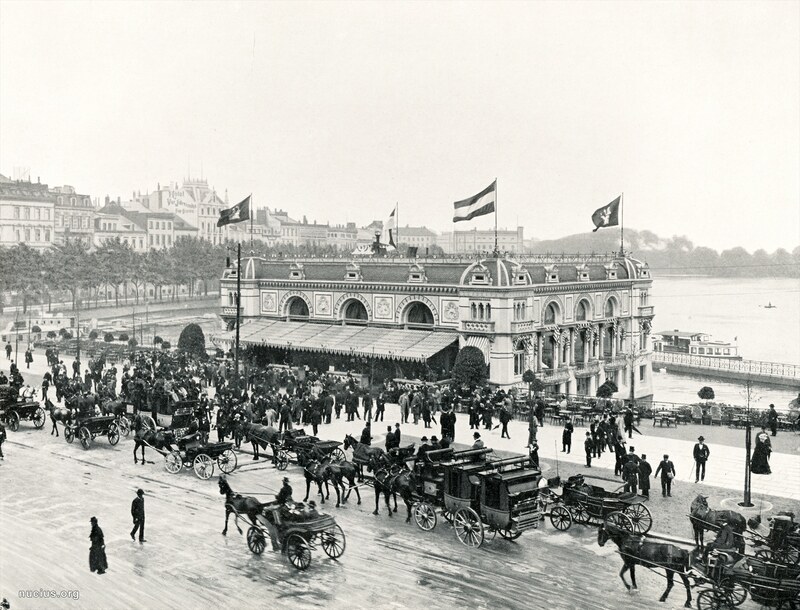 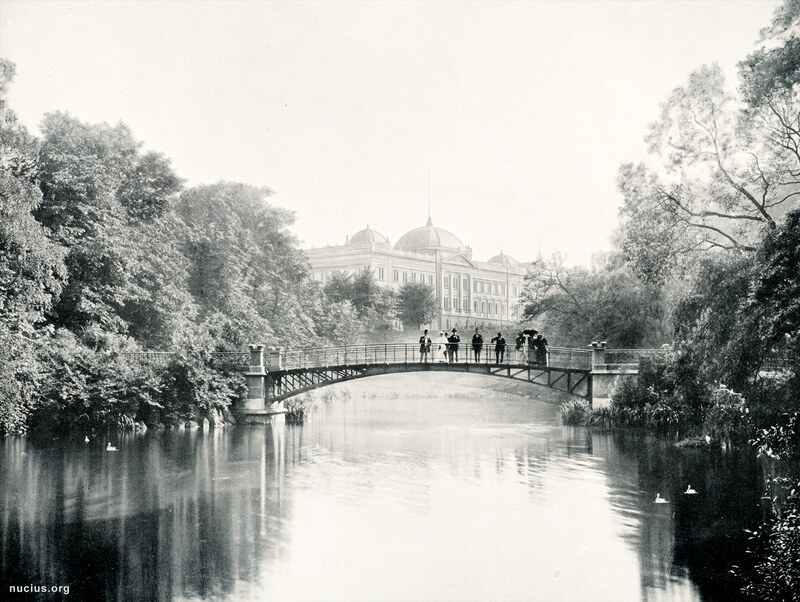 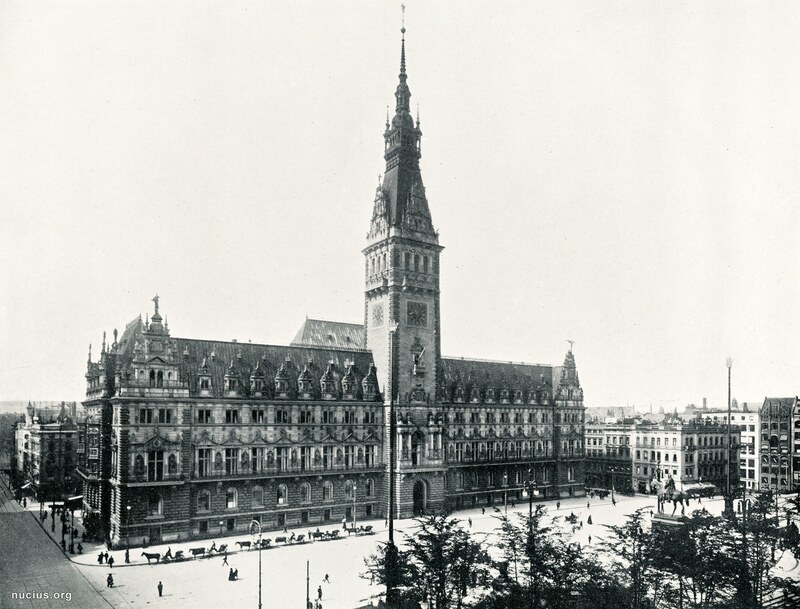 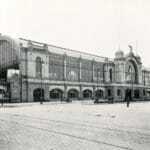 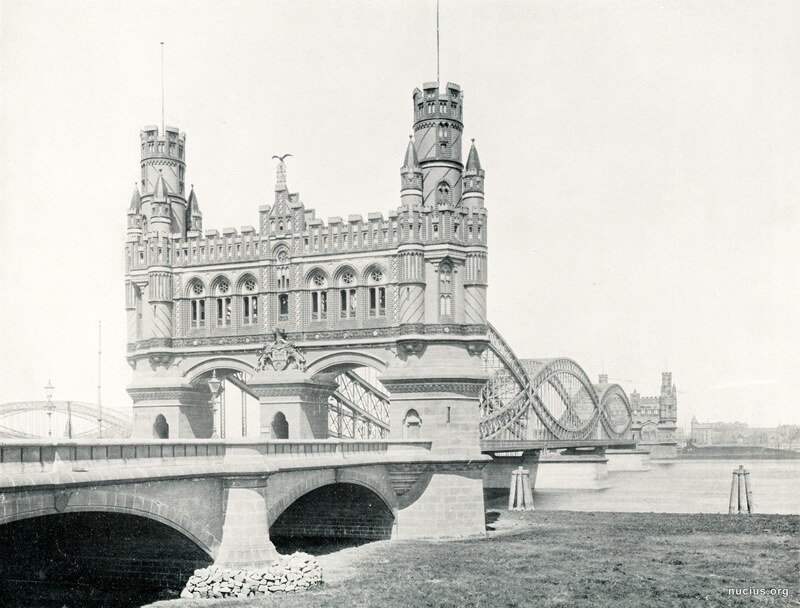 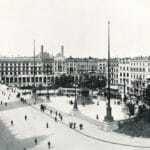 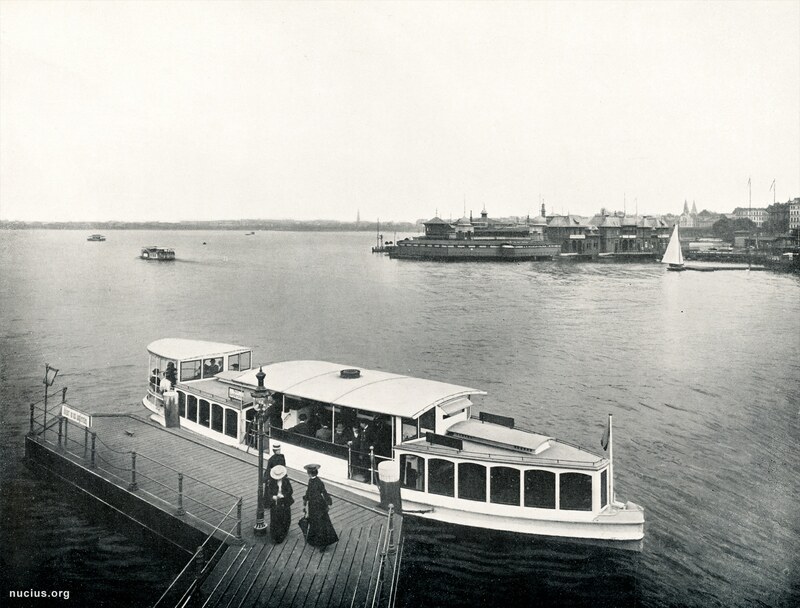 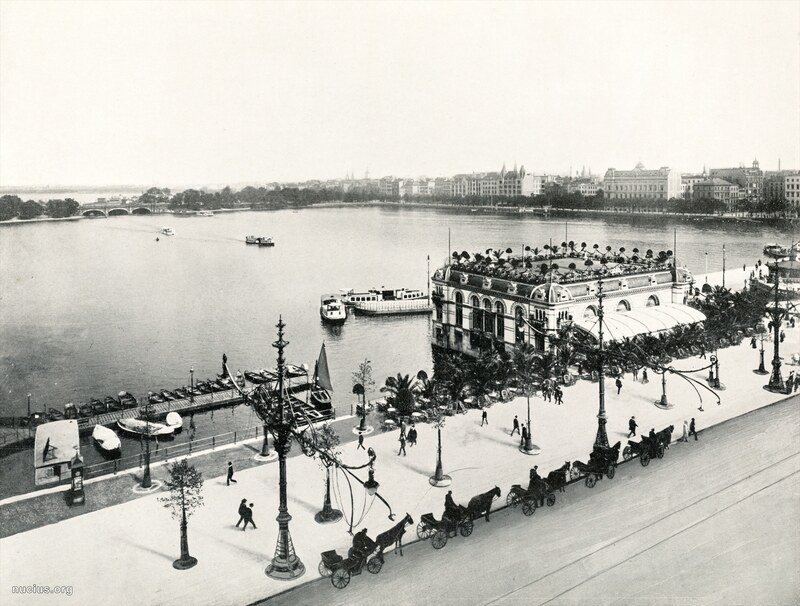 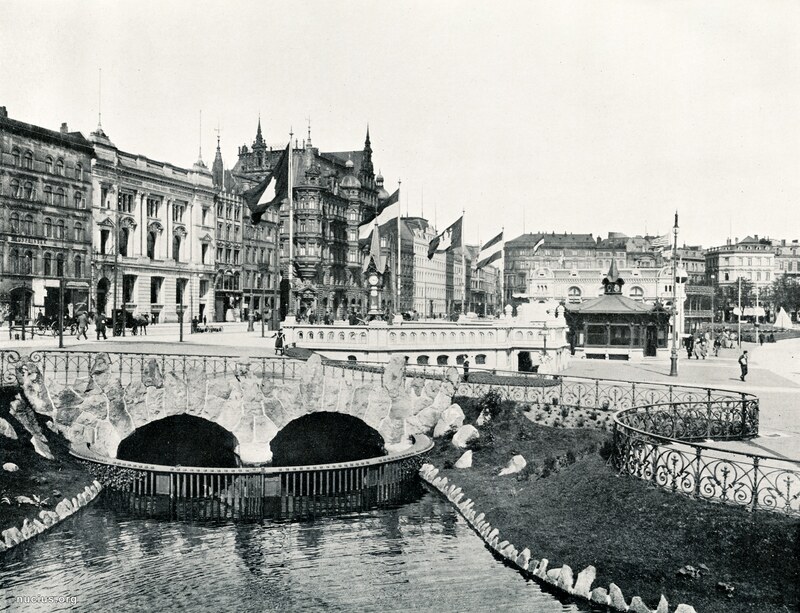 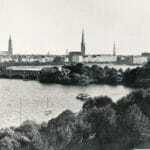 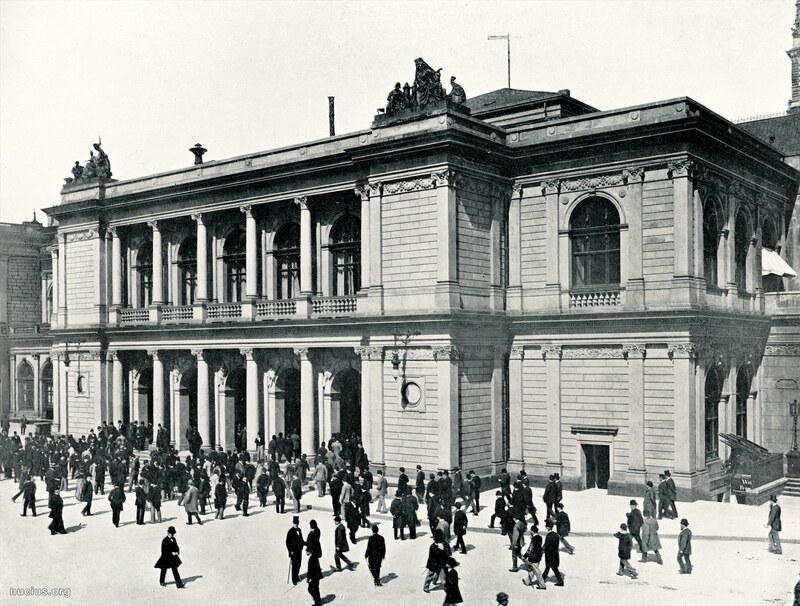 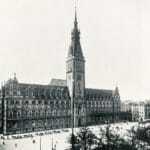 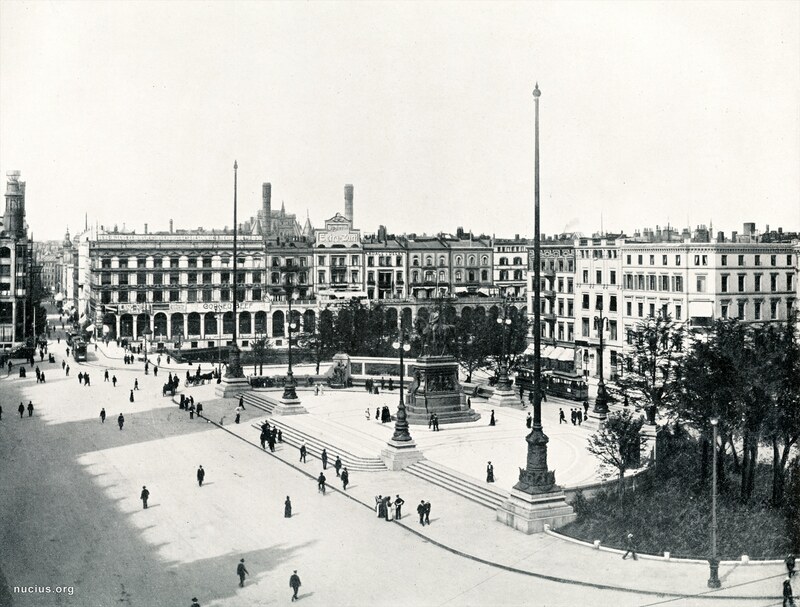 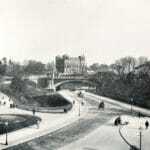 In addition to districts and buildings that are still among the most important tourist attractions – for example the so called “Jungfernstieg”-promenade with the Alster Pavilion, Outer and Inner Alster Lake (“Außenalster”,”Binnenalster”), Hamburg City Hall, St. Pauli Piers – the book also shows destroyed parts of the inner city or buildings demolished in the meantime – for example at the “Steckelhörnfleet”-canal. 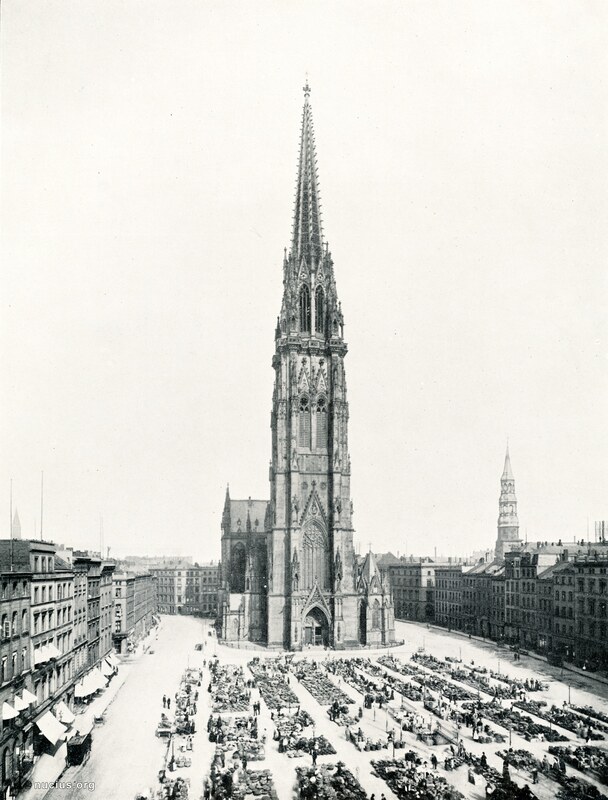 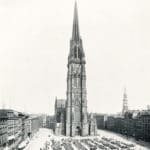 The former neo-Gothic Lutheran main church of St. Nikolai at the “Hopfenmarkt”, which was massively damaged in 1943 and largely demolished in 1951, can also still be seen in prewar condition, even with market activity (its tower and parts of some outer walls serve as a memorial today, similar to the Berlin Kaiser Wilhelm Memorial Church). 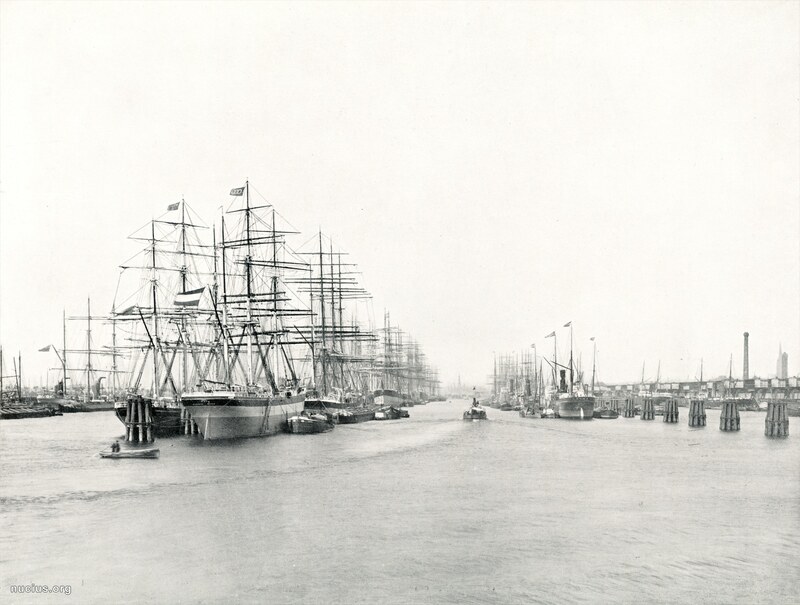 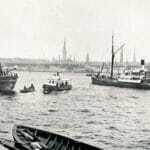 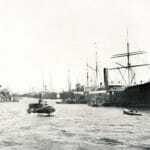 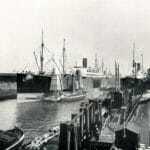 Besides that the album focuses on the Port of Hamburg and its infrastructure (e.g. 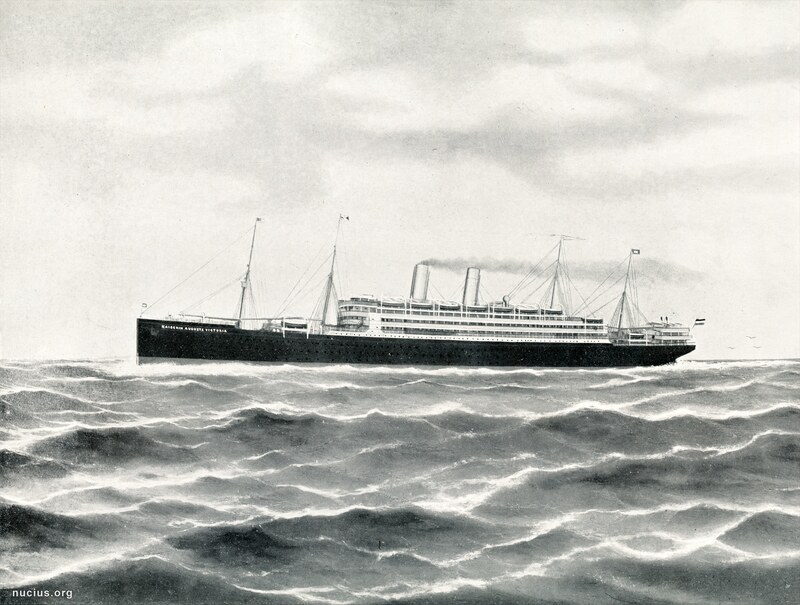 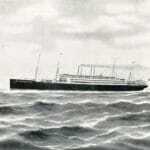 the “Sandtorkai” or the “Afrikakai”; dt. 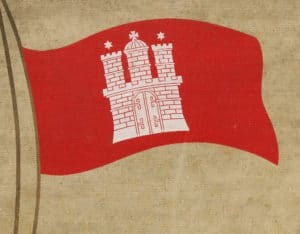 Kai = eng. 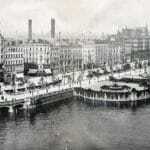 quay). 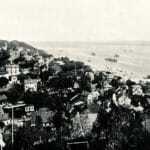 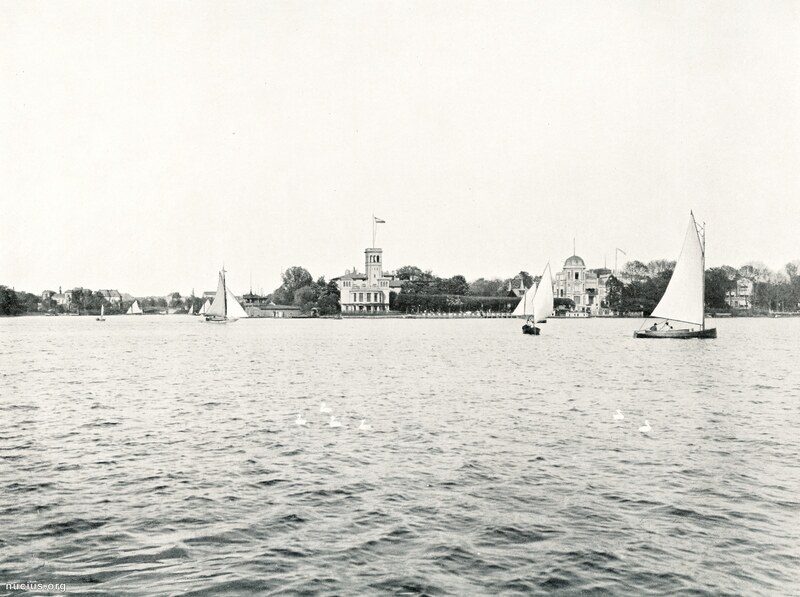 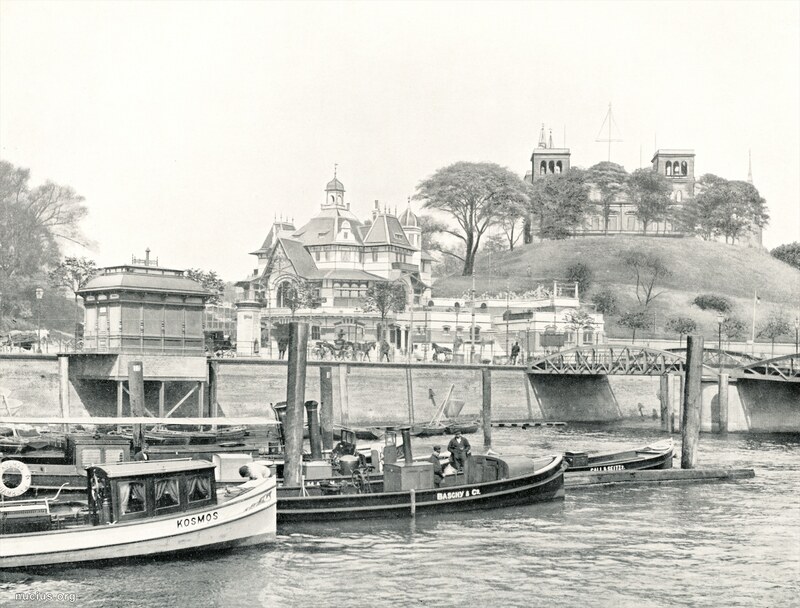 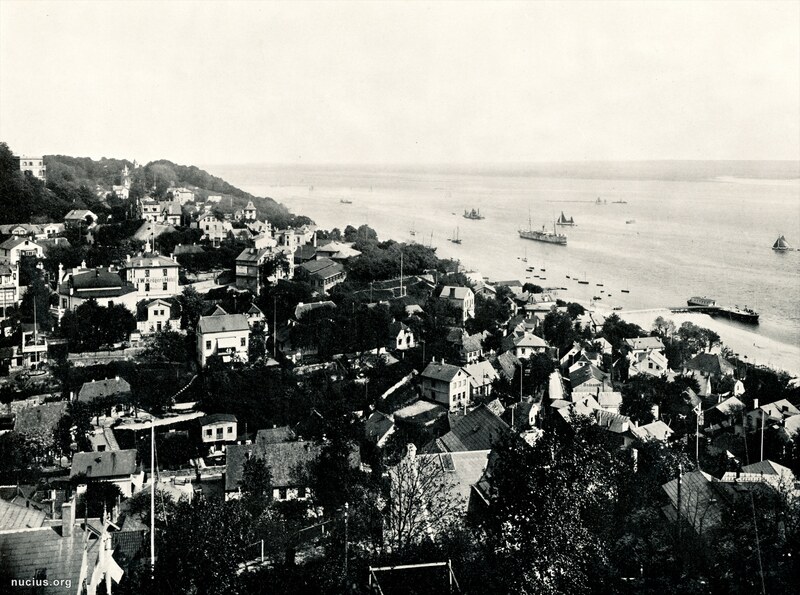 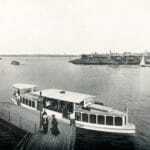 The volume concludes with a view of Blankenese, which became a district of the city of Altona in 1927 and was finally incorporated into Hamburg in 1938. 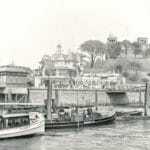 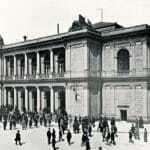 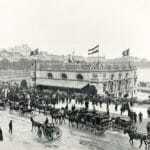 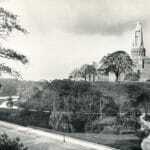 The images can be dated back to the years 1906-1908. 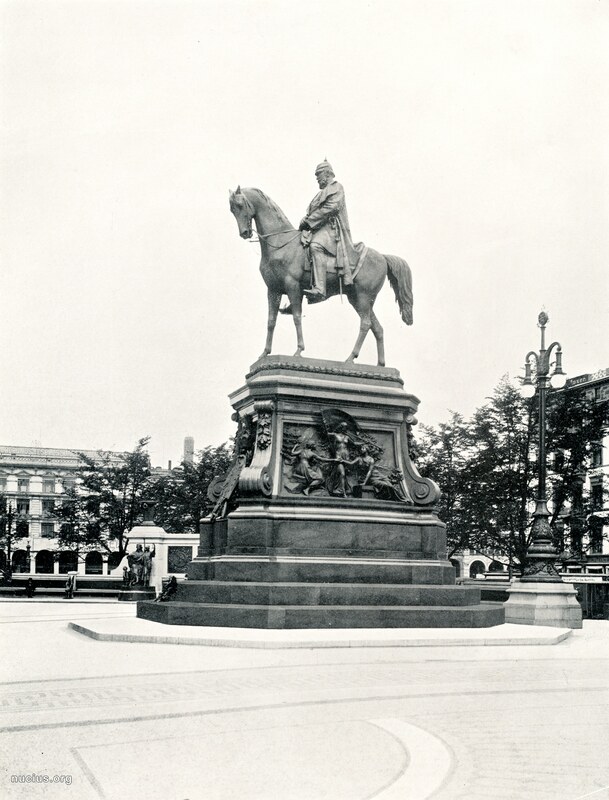 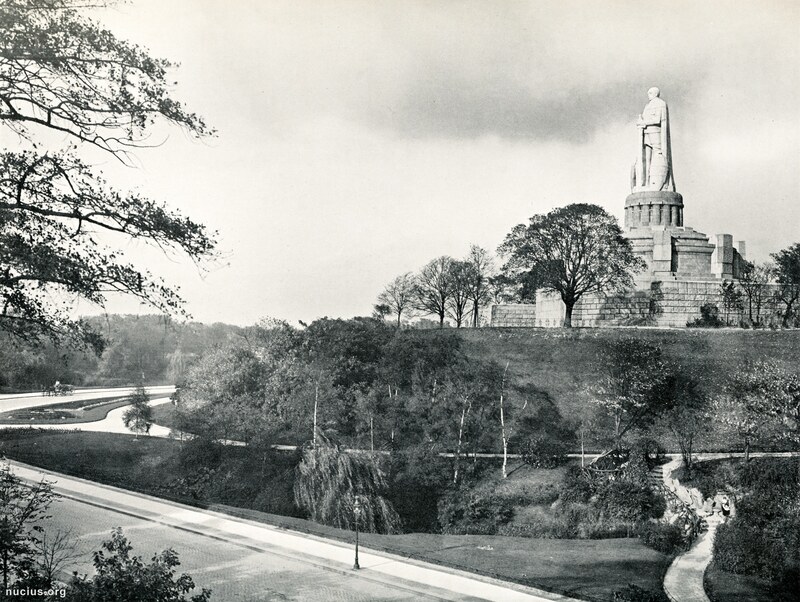 An indication for this is, for example, the not yet completed Bismarck monument in the Old Elbpark, whose pedestal figures are not yet visible. 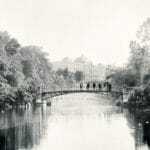 The photographer is unknown and not mentioned in the album itself, which is not unusual. 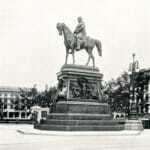 The format of most pictures is about 25 × 19 cm (10 x 7.5 inch). 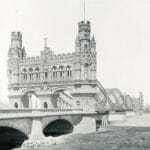 The panorama is 17.4 × 57.7 cm (68.5 x 227.2 inch) in size. 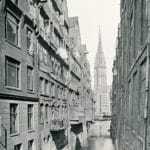 Source, full title: Album von Hamburg. 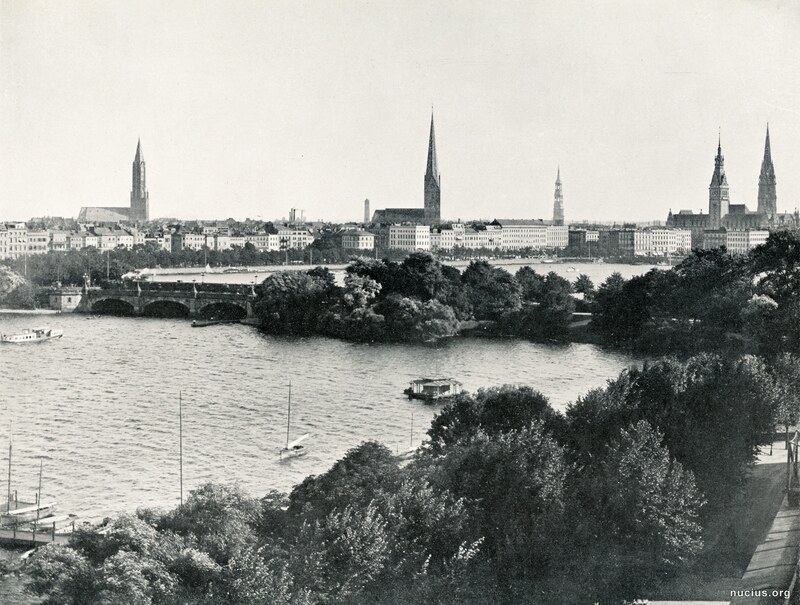 1 grosses Panorama und 30 Ansichten nach Naturaufnahmen in Photografiedruck. 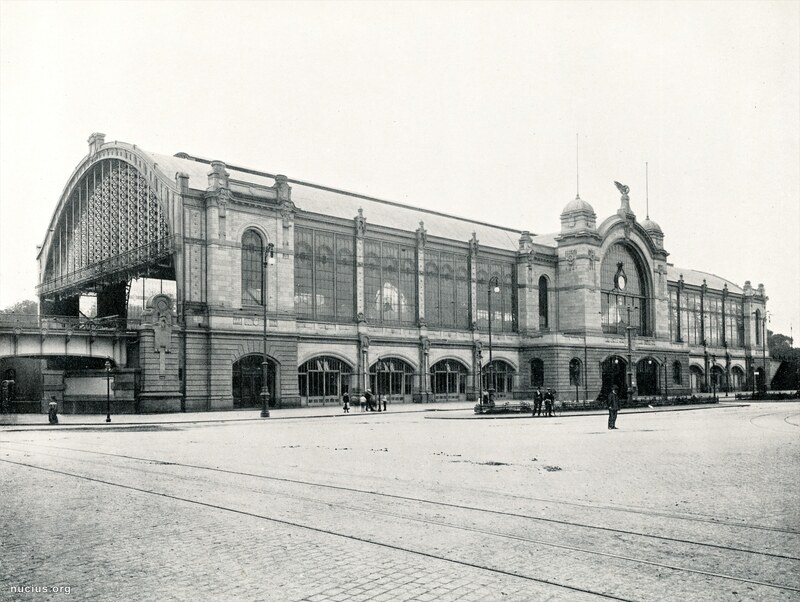 Berlin, Globus [without year].